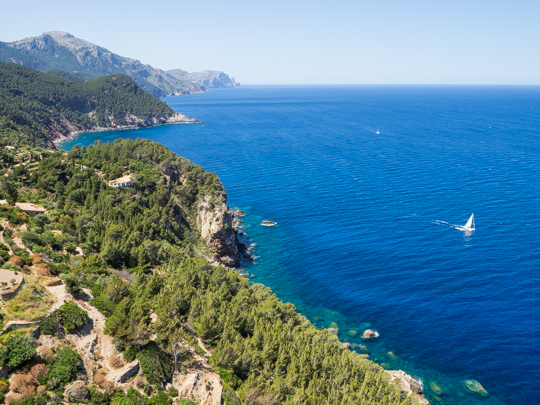 The northern part of the Spanish island of Mallorca boasts spectacular scenery. 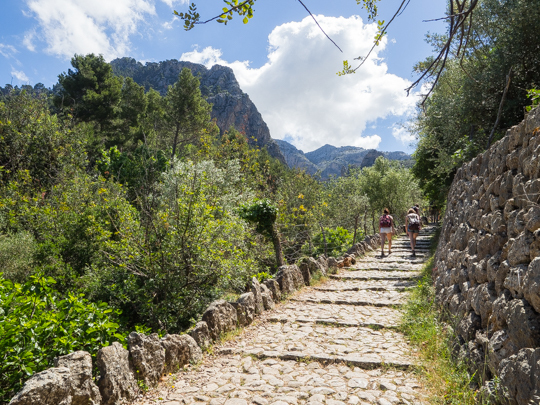 You can view my photos from Mallorca here. My day-by-day itinerary can be found under Longer Trip Itineraries. For this 5-night/6-day trip, we flew out of Paris and back to Nantes as we were headed out to Brittany afterwards. 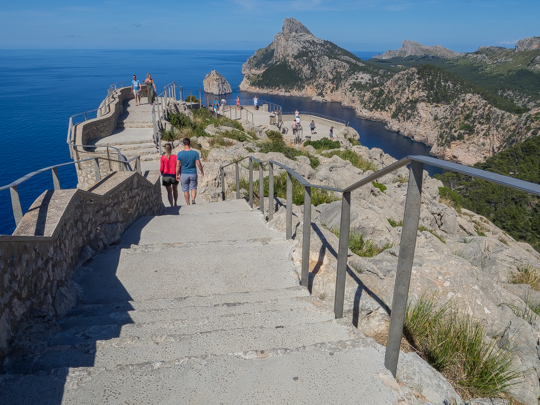 At €125 total (both legs) per person, we figured we paid only slightly more than we would have paid for a train from Paris to Brittany, and got a free stop-over in Mallorca! 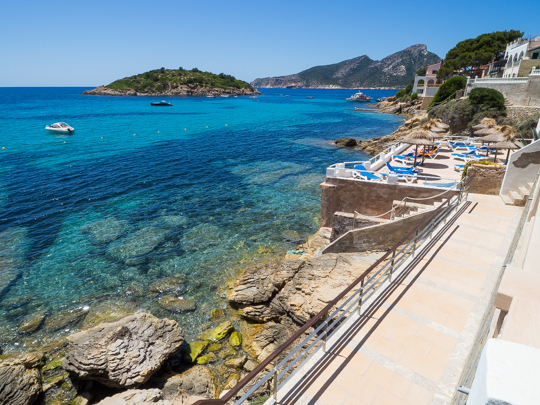 Despite having lived in Madrid and traveled through most regions of Spain, I had never been to the Balearic Islands (Mallorca, Menorca, Ibiza being the main ones). After this trip, I wondered why it took me so long! Although Mallorca was so spectacular, I’m debating whether it’s worth going to Menorca or Ibiza or if I’ll be disappointed. Recommendations, please! 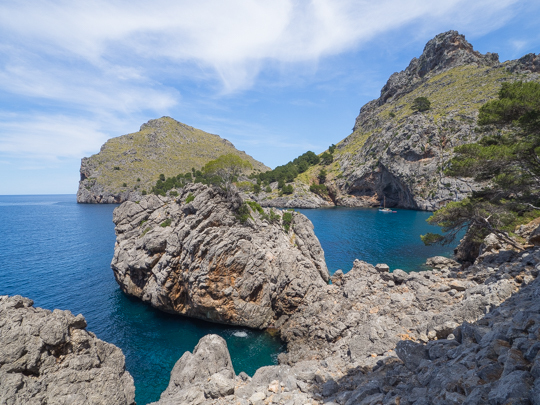 We stayed almost entirely in the mountainous northern part of Mallorca, primarily straying never too far from the Ma-10, the main road that cuts east-west along the northern coast of the island. We rented a car to explore as much as possible. I would definitely recommend driving if you have a fearless driver in your party. It’s not easy driving though. If you’re at all hesitant behind the wheel, this is not the place to rent a car. While the roads are generally very well maintained, they are very windy and narrow in places with 1,000-foot drops off the side. The Ma-10 and its offshoots are also apparently very popular among cyclists, so it’s a constant challenge to share the road without having to drive along behind the cyclists. We were fairly ambitious in our explorations, though per usual, it wasn’t 100% vacation for me. 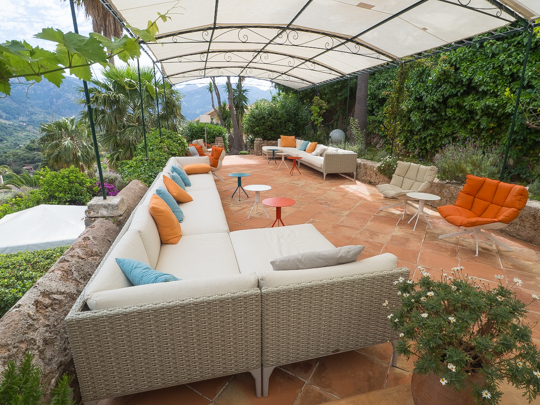 We generally explored in the morning and early afternoon, went back to the hotel from about 4pm-8/8:30pm to swim, rest up or in my case work from the beautiful terrace bar at the Can Verdera hotel. With the gorgeous view, super fast wifi, shaded couches and local wine, this may rank as my all-time favorite place to “work from home”. Our hotel was fantastic. 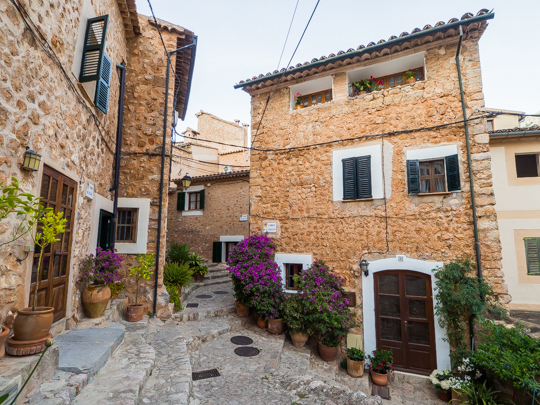 I would definitely stay in Fornalutx again. I think it’s one of the two or three most beautiful towns on the island if not the most beautiful. It’s small and very walkable, though there were enough restaurants to keep us from having to attempt the treacherous driving at night. While you can visit any corner of the island as a day trip from any one base, distances take much more time than they would appear to on the map; as I said, the roads are windy! Picking a second base for the second half of the trip would not be a bad idea. 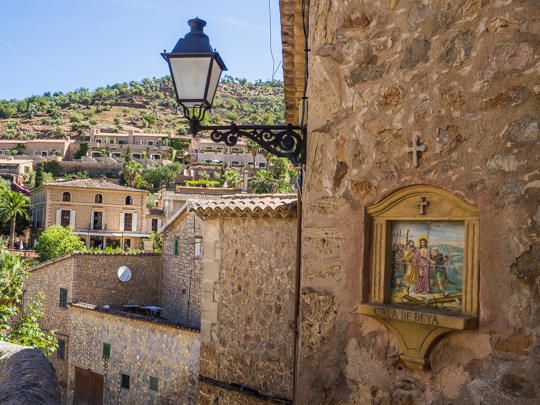 One last thing—while Mallorcan natives generally speak Catalán and not Castellano (the Spanish of Madrid and of most Spanish-speaking countries), no one expects you to speak Catalán. In fact, no one really expects you to speak Castellano either. While I did try to brush of my Spanish and take advantage of the opportunity to practice, I think you’d find it quite easy to get around with just English. 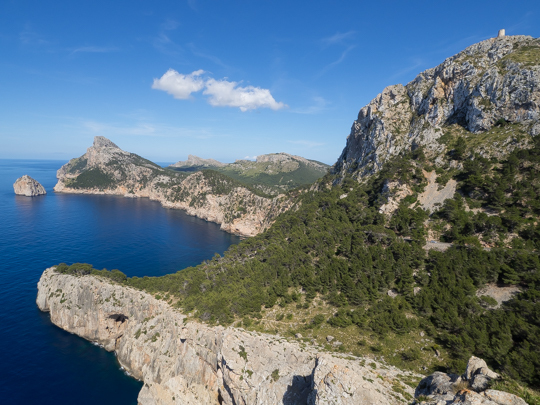 You can view all my photos from Mallorca here. I’ve also included this write-up and my day-by-day itinerary under Longer Trip Itineraries.